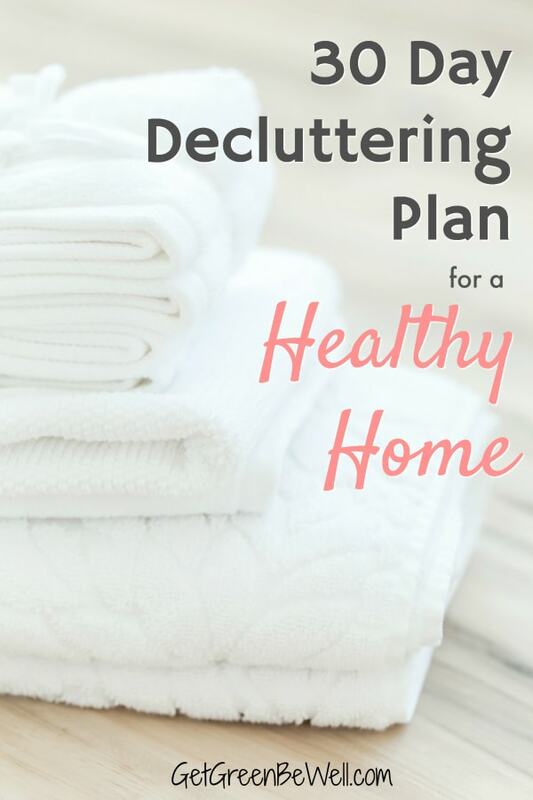 Want an easy plan to declutter your life? Wondering how to organize your home quickly? Wish you had less stress in your house? If you answered yes to any of these questions, then you probably need a 30 Day Declutter Plan. Clutter is bad for your home in so many ways. You probably already feel that. Which is why a 30 Day Declutter Plan can do so much more in your life than just organize your junk drawer. Let’s start with why clutter is bad for your health. The more stuff you have, the more stuff that will collect dust and allergens. You know how it goes. There’s so much stuff on your shelves or in your closet that the thought of dusting or doing laundry makes you cringe. So you don’t clean. Which means that dust is accumulating. Which means that allergens are accumulating and indoor allergies can start or get worse. Simply because you’ve got too much stuff. Clutter also means that you’ve got things in places that aren’t getting adequate light or air circulation. Mold can start growing in the corners of your house or dark closets where things are piled up. Bugs and rodents start to set up house in those dark, crowded places that never get cleaned up. 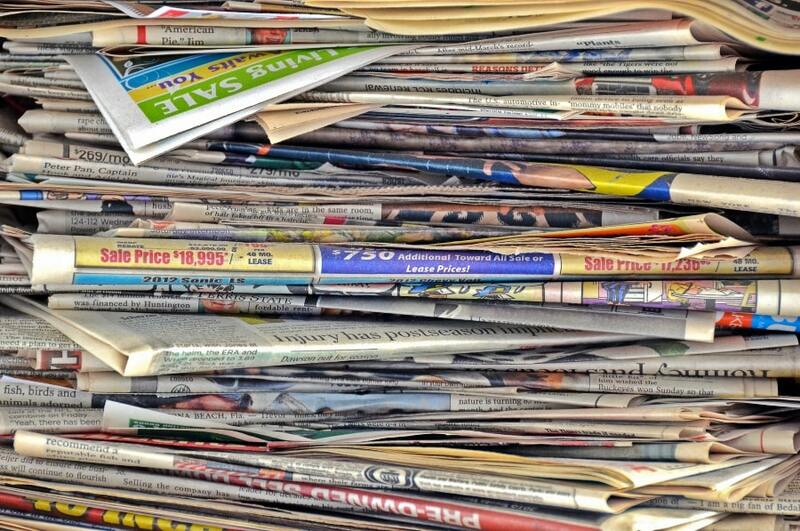 Places like stacks of newspapers and magazines, or in pantries that are too full. Not only are bugs in your home gross, but they can leave droppings behind which aren’t healthy for your family. Clutter drains you. Pure and simple. Clutter is just one more thing on your to-do list that you’re reminded every day that you don’t have enough time to do. Want joyful reminders instead? Get my free minimalism printables! It’s like having a written to-do list on your refrigerator. Every day it stares at you when you open the fridge door. Every. Single. Day. After a while it starts grating on your nerves. You’ve got to get it done. One day. Then it’s a month later. Then a few months later. Yet the stress is still there, subconsciously, that you can’t get it done. That’s why a 30 Day Declutter Plan is so important. It helps you declutter in small batches so that you’ll achieve success! Need inspiration about how clutter can make you unhappy? 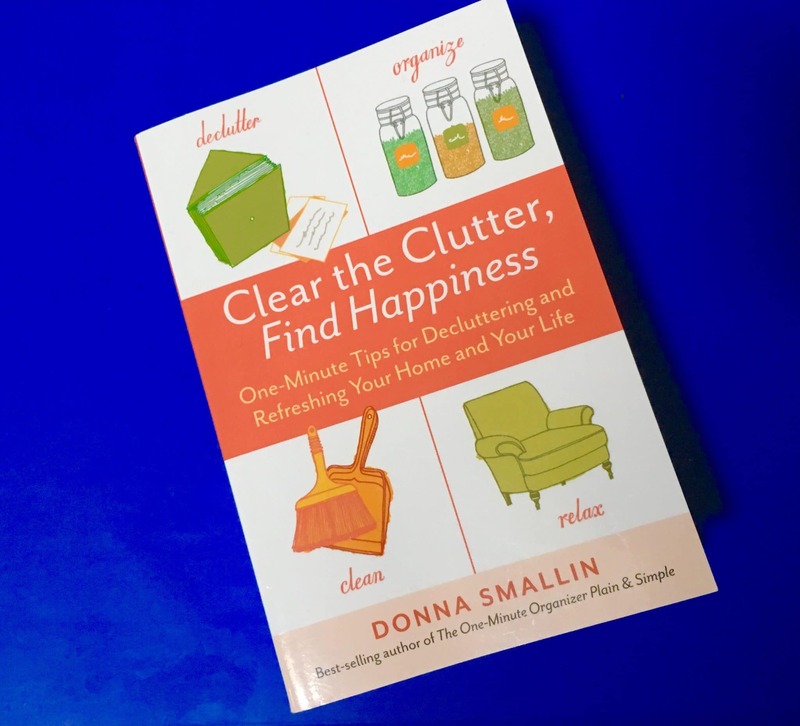 Clear the Clutter, Find Happiness is a great pocket-sized book by Donna Smallin that addresses how clutter impacts your mental health. It can really inspire you on your decluttering journey if you’re having a hard time getting started. Part inspiration and part practical decluttering advice, each page is just a sentence or two of advice that motivates you and meets you where you are on your declutter plan. Decluttering doesn’t mean you have to give up the stuff that you love, though. Let’s make that perfectly clear. You don’t need to be worried about decluttering. You don’t need to go into it afraid or anxious. This is your chance to feel better! No one is telling you to get rid of anything. It’s a choice that YOU make alone. YOU are in control. So don’t be afraid. The big thing about decluttering is getting rid of what you don’t want or don’t need anymore. It’s your decision. So start to feel empowered. 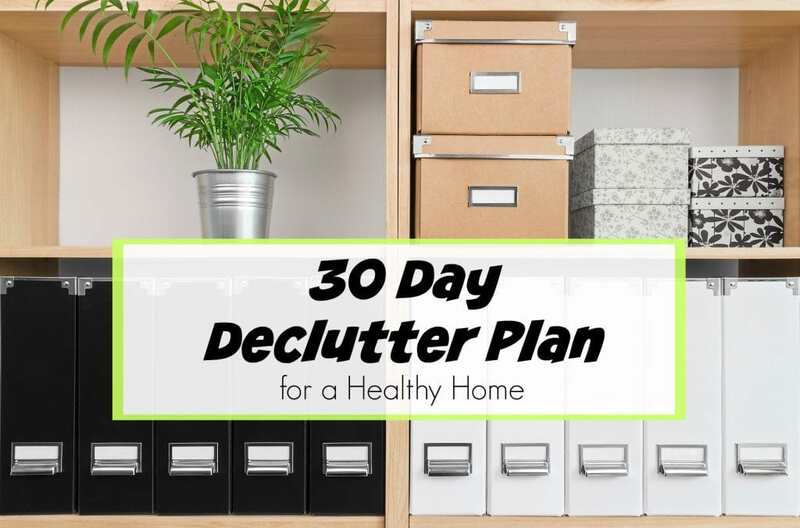 This 30 Day Declutter Plan is all about YOU. This is YOUR time to make your life better. It is TOO overwhelming to try to declutter in one day. 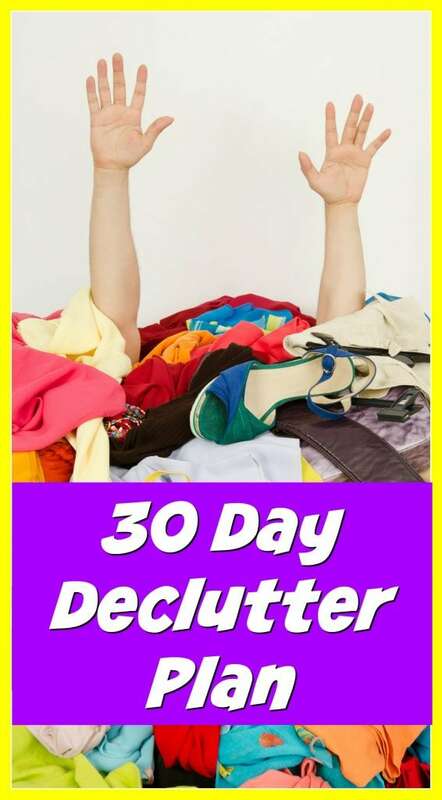 Breaking up your declutter projects over 30 days is easier and leads to more success. That’s why you’ll have success with this 30 Day Declutter Plan. I’ve had to declutter many times over the past 3 years. When we moved from one house to another, I couldn’t believe how much stuff I had hidden in closets, under beds and in the attic that I didn’t even remember that I had. Plus, a lot of the stuff was ruined from bugs and rodents in the attic. Then, we packed up our house to live in an RV for a year. Talk about the need to declutter! Surprisingly, I didn’t get rid of as much stuff as I thought we would. And I’m glad I didn’t get rid of more. We had paired down everything already to what we needed and loved, so decluttering and downsizing was way more simple than I had thought. 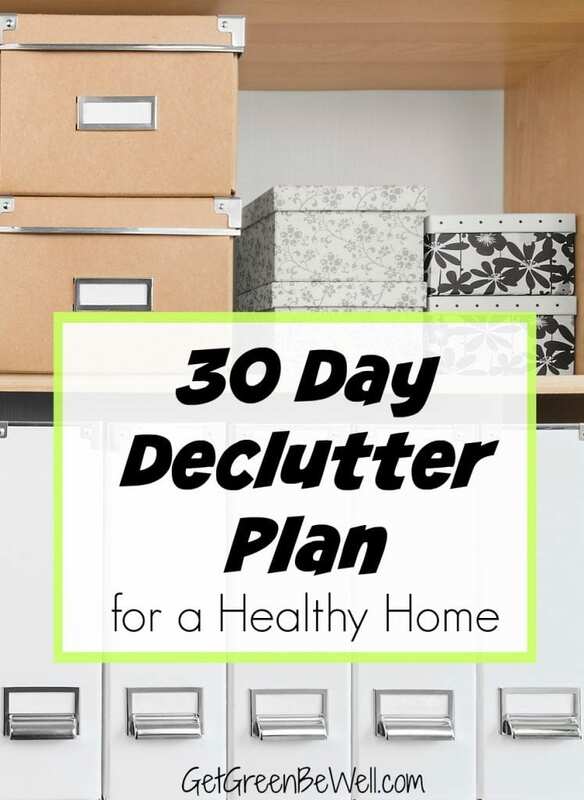 The following are ideas for your 30 Day Declutter Plan for a Healthy Home. Do them one a day, or do two a day and take a break on the weekend. JUST DO IT. Start with your junk drawer. It’s full of unemotional stuff that you won’t mind purging. Get rid of the ketchup packets, rubber bands that have melted together, dried up glue tubes and the 500 twist ties that you’re holding onto. Do this while you’re waiting for dinner to bake or while you’re watching your favorite TV show. When putting everything back, make sure that it’s organized. Use a stylish, convertible junk drawer organizer. 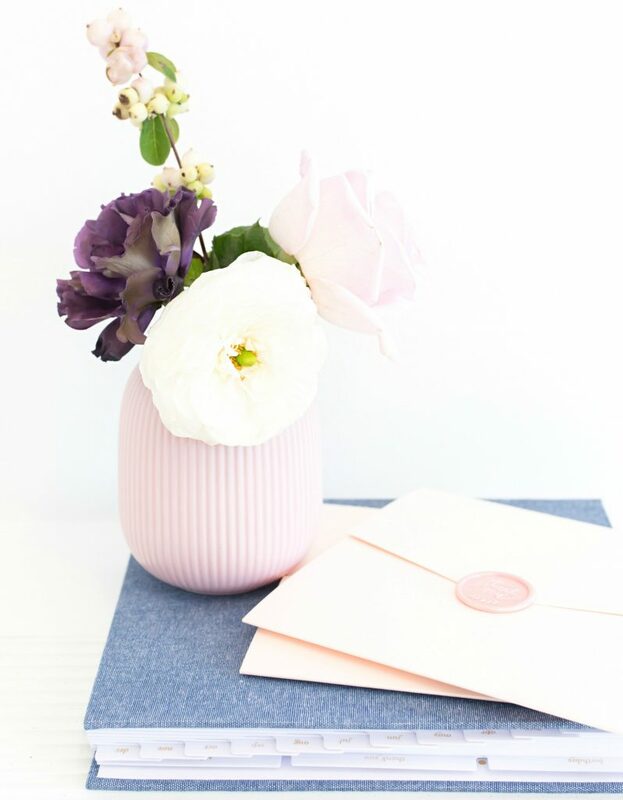 Mail is the next quick thing to declutter. All of the stuff that comes in the mail either needs to be taken care of or you never wanted it anyway, right? Bills, subscriptions, calendar events are all things that can be taken care of now. Pay the bill, put things on your calendar. Be done. The junk mail goes straight into the trash (better yet, use a shredder to destroy your personal information.) Magazines and catalogs either get recycled or put aside to read later. My sister uses this wall organizer to sort mail on her door. I love it and it’s a great organizer for the entire family. Now you’re on a roll. Keep up the momentum. The refrigerator is another easy way to declutter. Either you like the food or your don’t. Either you’re going to eat it or you’re not. It’s pretty simple. Go through every single condiment and bottle in your refrigerator and look at the expiration dates. Chances are you’ll be surprised at how old some of the stuff is. And you don’t want to get sick from eating it. When the refrigerator is decluttered, it’s a good time to add some natural ways to get rid of odors in your refrigerator. Bonus: You’ll probably finds lots of food for meals or snacks that you weren’t thinking of. So you just saved money on your grocery bill, too! Score! Do the same as you did for the refrigerator. Even frozen food has a shelf life. Foodsafety.gov has this handy chart on how long to keep frozen foods. Okay, now it’s time to tackle all of the foods and spices that aren’t in your refrigerator or freezer. Be sure to check expiration dates on all boxes, bags, and cans. Check all of the spices, too. If you’re like me, you’ll find spices that are WAAAYYYYYY past their expiration date. Oops! While you’re at it, make sure that you’re storing your dry goods (like flour, sugar, cereals, rice, etc.) in air-tight containers that keep pests out and freshness in. All of these plastic free food storage containers are great ideas for keeping food fresh without plastic. I previously had problems with tiny little bugs in my pantry foods. I’ve used these large glass cracker jars for years now. I love how easy it is to get inside the container, I can see everything, and the screw-top lid makes opening the container a breeze compared to other lids. You’ve probably got half-empty boxes of cold medicine that you forgot about. Decluttering this place in your house is very important. Those expiration dates on cosmetics, over-the-counter medicine, prescriptions and body care products are for health and safety reasons. Throw out stuff with abandon if you have had it forever or if you’re concerned about it’s safety. This is no time to hold onto to things. It’s your health we’re talking about. Throw out everything past its expiration date. Your makeup bag is another place where you won’t believe how old things are. 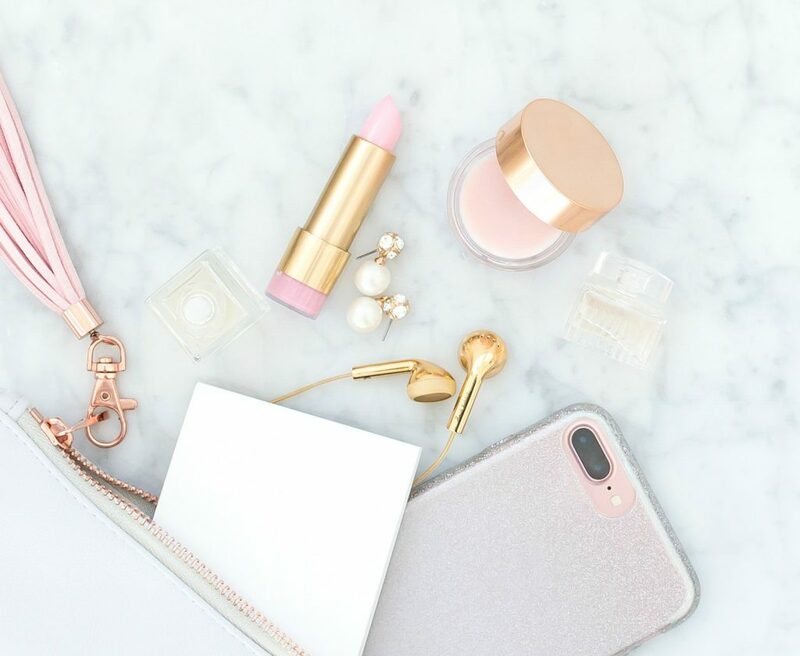 Chances are, you’ve got lipsticks you’ve forgotten about, half-used eye shadows that you don’t remember owning, or a bronzer compact you haven’t used since last summer. For health reasons, you should DEFINITELY throw out makeup that is past its prime. Not sure about expiration dates for makeup? Use these helpful hints from Good Housekeeping on when to throw out makeup. If you need to restock on fresh new makeup, these drugstore beauty brands are non-toxic and affordable. I think you’ll be surprised at the brands. And be sure to get lead free lipsticks, too! You might not have a LOT of stuff in the shower but it’s always nice to make sure things are clutter-free in all of your showers and tubs. When you have lots of clutter in the shower, you start to grow mold and mildew. (Here’s how to prevent mold on a shower curtain.) That’s just what happens in a moist environment. So if you’ve got bottles and bars stashed on shelves or corners in the shower and tub, chances are you’ve got a breeding ground for mold, an indoor allergen. Throw out what you don’t use or can’t remember how old it is. Remember, you are using these products on your body, so it’s a health and safety concern when you’re using cosmetics past their prime. Store everything in a shower caddy like this – or what is convenient for you. Every shower and tub is different. No matter how you organize, though, proper air flow is key to creating a healthy home. The more air that can get to your bottles and bars of soap, the faster they can dry out and reduce mold growth. Purses have a tendency to be cluttered with stuff we think we’ll need but never do. Or full of receipts and paperwork that we never bother to take out. All of that extra weight not only makes finding things like your keys and wallet a hassle – but it’s also bad for posture. A too-heavy purse pulls on your shoulder and causes neck pain, shoulder pain and other posture-related problems. Get rid of everything that you don’t use on a regular basis. Purge your wallet, too. Keep only what you use all of the time – or definitely need to keep (like insurance cards, keys, etc.). While you’re at it, make sure to clean your purses. Bacteria grow on purses because of the many places that we put them (floors, table tops, toilet tanks, etc.) Wipe off or wash your purse with an anti-bacterial wipe or use soap and hot water. Do you store things under your bed? I know I do, as much as I try not to. I want to keep the space under the bed as open as possible for good ventilation. Proper air flow helps to keep your bed dry and inhibit mold growth. Also, the more that’s jammed under your bed, the more likely you’ll find bugs setting up a home (cockroaches and spiders are among the offenders, trust me, I know). Purge what you can from under the bed. Relocate it to other areas, if possible. 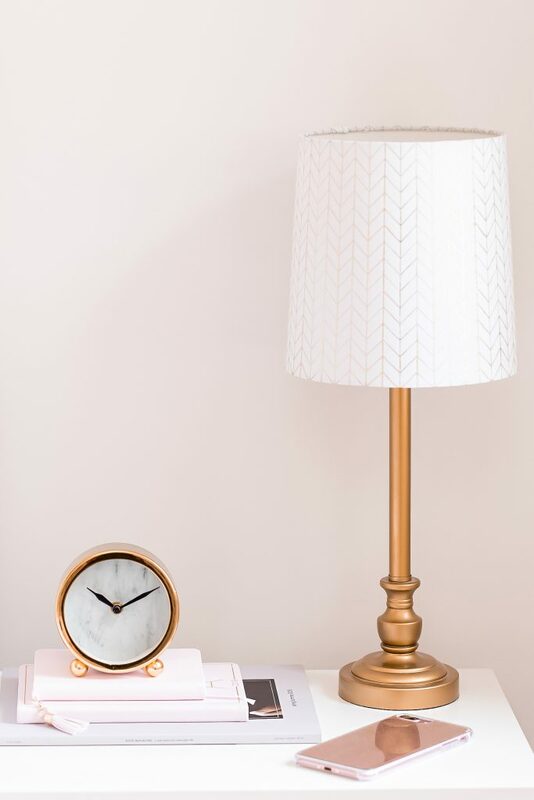 This is so important for decluttering your bedroom for better sleep. If you do need to use the hidden storage area, consider low-profile plastic bins that are easy to pull out and don’t take up all of the space under your mattress. To store things under the bed, I actually prefer to use hard plastic storage bins. Since it’s so dark under the bed, a fabric storage system could start to accumulate mold and mildew on the material. And flexible vinyl could be made from PVC or other chemicals that could off-gas into your bedroom right where you are sleeping. Using hard plastic under-the-bed storage bins like these (get several for all beds in your home) helps to protect the items from dust and insects. And if they aren’t too tall compared to your boxspring, they still allow for air flow underneath your bed. 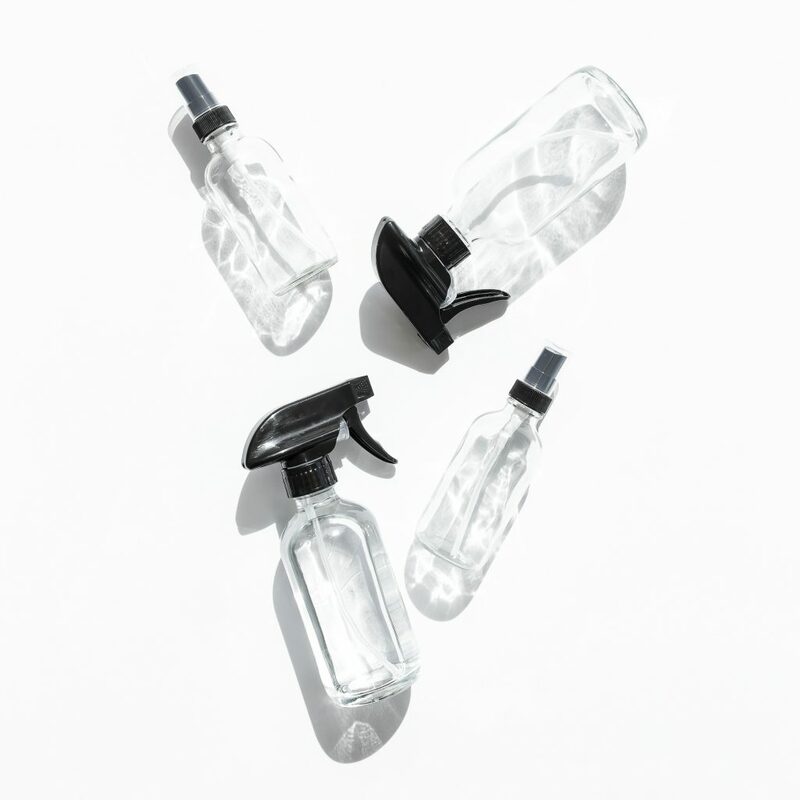 Got bottles and bottles of cleaning supplies? You probably don’t need so many different products to clean. If your cleaning products are full of nasty chemicals, it’s definitely time to toss them and find non-toxic cleaners. It’s easy to make your own natural cleaners without chemicals if you don’t want to spend money on buying cleaners. It’s easy to make a no-streak homemade glass cleaner, toilet bowl cleaner tablets, or an all natural kitchen cleaner. And, if you’re thinking of using just one green cleaner, here’s what kind of vinegar to clean with. There’s a lot of stuff hidden in kitchen cabinets. However you decide to declutter your kitchen cabinets, be sure to get rid of the things that you never use – or rarely use. 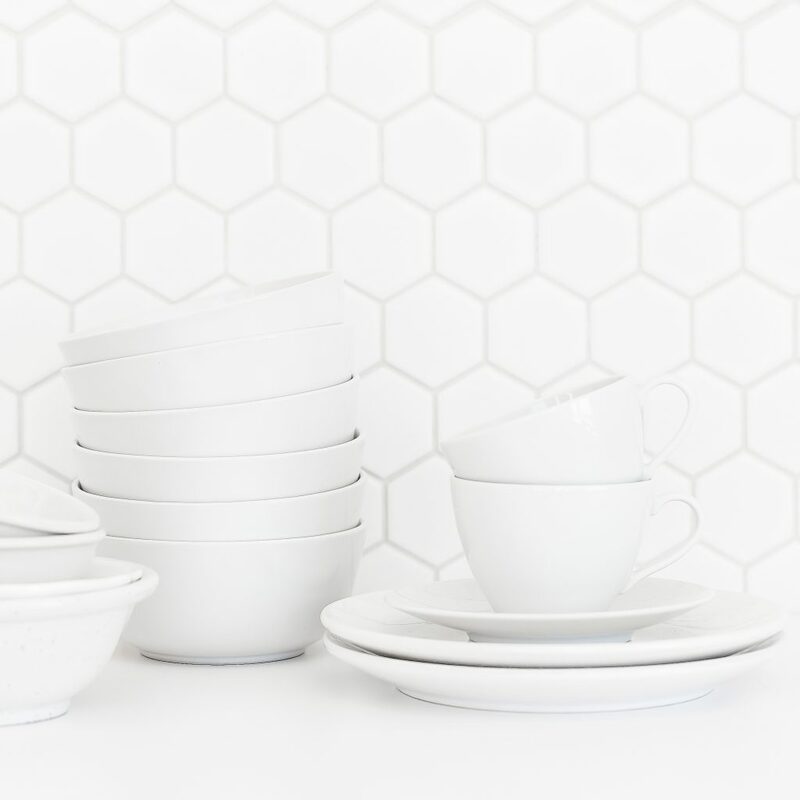 My list of minimalist kitchen essentials might help you decide what to keep. Focus on keeping multitasking items and appliances. And donate anything that you have never used or could easily borrow from family or a neighbor once or twice a year (such as warming plates, large platters, gravy boats, etc.). 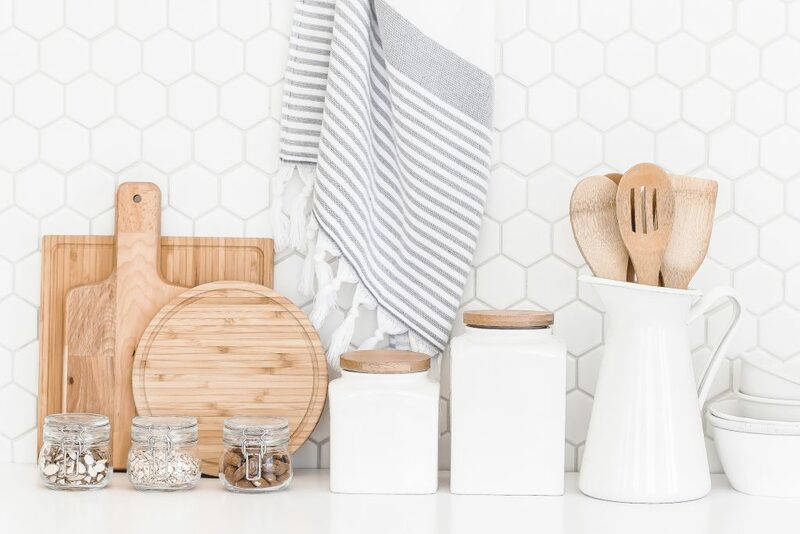 For a non-toxic home, your 30 Day Declutter Plan should include getting rid of as much plastic as possible in the kitchen. Now is the perfect time to do it. Do what you didn’t do the previous day. Are you ever going to have enough time to go through all of the magazines, newspapers, and catalogs that you have stacked up? Seeing this to-do list is mentally draining. And how much more information do you need to process and read in your busy life? Keep the ones that make you happy. And actually make the time to relax and enjoy them. That’s your reward for doing all of this decluttering work! Recycle everything else. Or donate magazines to a classroom for crafting supplies. 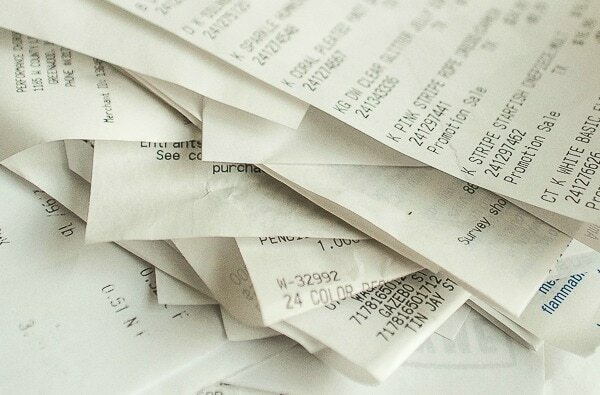 First, look at these ways you could be making money from your receipts. Shred receipts that you no longer need. Put the ones that you need to keep (big ticket purchases, IRS receipts, health receipts) in a file folder system. Or scan them and store them on an external hard drive or on the cloud. After organizing your receipts, be sure to wash your hands well. The thermal paper that most store receipts are printed on can contain BPA, which can come off on your skin. If you’ve got kids, you’ve got toys. Lots of them. And you know that they don’t play with them all. Decluttering toys is the perfect way to teach your kids about helping others. It means so much more when you decide to donate toys to needy kids to bring them joy. You can also sell toys at consignment sales or garage sales. Or sell (or donate) them through local Facebook groups and online garage sales. Oh, the garage. This place can be a massive dump pile for everything that you can’t fit inside your home. Decluttering the garage takes diplomacy and skill. It’s a place where you can throw away stuff that you no longer use, only to need it the next week when the toilet overflows or a tree branch falls in the yard. It’s also a place where someone else might know the true value of having that socket wrench, but the person decluttering does not and throws it away. So you might want to buddy up with your spouse or roommate on this one and not go solo. While looking through the boxes of stuff stored in your garage, pay careful attention to chemicals, cleaners, pesticides, paints, and other potentially toxic materials. These items can off gas harmful VOC fumes into the air even when they are properly stored in their original containers. They can also be harmful or deadly if they are used wrong. So purge as many cleaning supplies, paint strippers, bug killers, weed killers, old paints, and gasoline containers as you can. Replace with non-toxic items when you need them. The basement is like the garage. And decluttering them is the same method. However, the basement tends to be a place where mold can accumulate more easily. That is because it’s underground, with little or no windows, not as much ventilation, etc. Pay special attention to boxes or containers stacked up in corners, where air flow can’t access the walls. Move all of the containers, even if you intend on keeping all of them. Make sure you don’t see any black growth on the walls or smell a funky mildew smell. Be sure to look everywhere in a basement, including the flooring, on walls, in little cubby holes, etc. If there is mold growth, it can be easy to remedy on your own in you catch it early in the growth. Once it is bad or has taken over, it can cost you a lot of money to remedy. So that’s why decluttering the basement is so important. A cluttered email inbox might not impact your home. But it can impact your mental health and happiness. 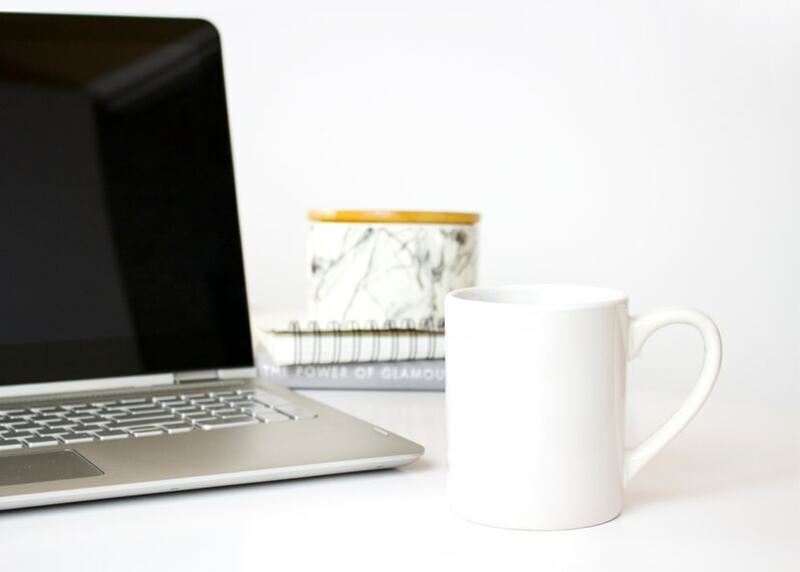 You don’t have to clean out your ENTIRE inbox (although, that would be great!). You will definitely want to delete all of those expired sales, newsletters you’ll never read, etc. While you’re at it, be sure to unsubscribe to all newsletters and mailing lists that no longer are relevant to your life right now or do not bring you joy when you see them pop up in your email. There are ways to filter emails to go into specific folders in your account (such as promotions, bills, etc.). If this is a system that would make sense to you, look into doing it with your email provider. Google definitely has folder options for Gmail. When your phone gets cluttered, it means you have limited space to add any more photos, videos, apps, etc. It’s just like a cluttered physical home. When the space is maxed out, you just can’t bring anything more in. Delete photos and videos you no longer want. Upload the items that you want to keep to external hard drives, USB drives that will hold a lot of photos, your laptop, or the cloud. Delete any apps that you don’t enjoy or don’t use. They take up precious storage space on your phone. Before you know it, you can accumulate tons of books that you’ll never have time to read. Now’s a good time to look at your collection of cookbooks, novels, how-to books, and coffee table books. Keep what brings you joy and what you reference often. For all other books, ask yourself if you could find the information online more easily than flipping through a book. Or see if there is a digital format of the hard copy book that you love to save to your favorite device. My book, The Everything Guide to a Healthy Home, is available for digital download and it’s FREE with KindleUnlimited! Try it with a free 30-day trial! Donate books to a library or thrift store. They are highly popular donations. What do you store under your sinks? Is it cleaning supplies, hardware supplies, appliances, or a bajillion plastic bags? I’ve found from personal experience that under-the-sink storage is one of the best places for insects to hide and thrive (especially cockroaches). Whatever it is that you store under your kitchen, bathroom or laundry room sinks, now is the time to clean it out and declutter. Get everything out. Yes, everything. Then look for signs of water leaks or damage. It might be wetness or standing water. Or maybe you see cabinetry that has been damaged from previous water leaks. If you see anything that looks like water damage, fix the problem so that it doesn’t lead to mold. Next, line the bottom of the cabinets with a shelf liner to make wiping up water and spills a breeze (and it won’t seep into your cabinets). You’ll want a PVC-free shelf liner so that the VOCs in the plastic don’t off gas into your home. PEVA or EVA plastic does not have the harmful VOCs from PVC, so EVA plastic shelf liners are smart solutions, too. As with everything else in your home, the more clutter you have here, the easier it is for pests to hide. Keep the sheets, towels, pillows and soft goods that you use. Donate what you don’t. 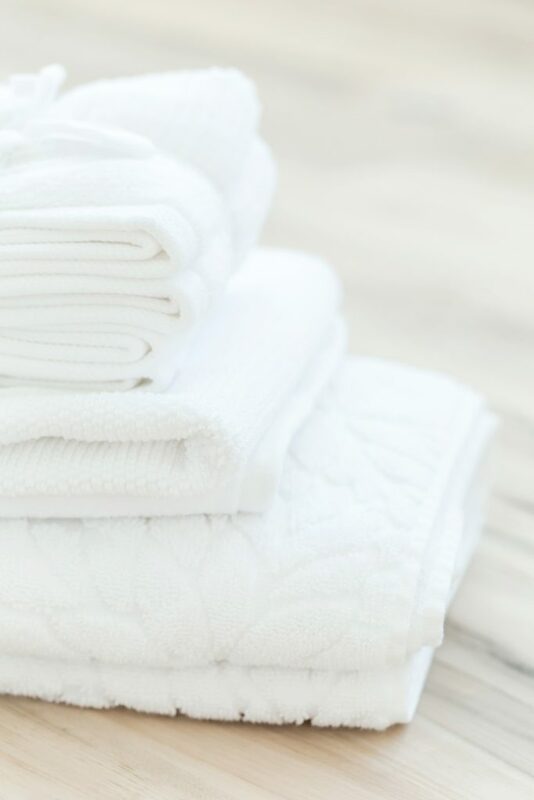 There are LOTS of places where you can donate old towels and old pillows. Pet shelters are especially anxious to receive donated towels and bedding. Thrift stores will also accept good quality items. Things that are so worn that they can’t be donated can be used for cleaning rags. If you’ve got linens that are such a pain to use because they require ironing, starching, etc. then take this time to donate them. You don’t need all of that extra work in your life. Closets are so big that they require more than one day, unless you intend to spend ALL day trying on and sorting clothes. 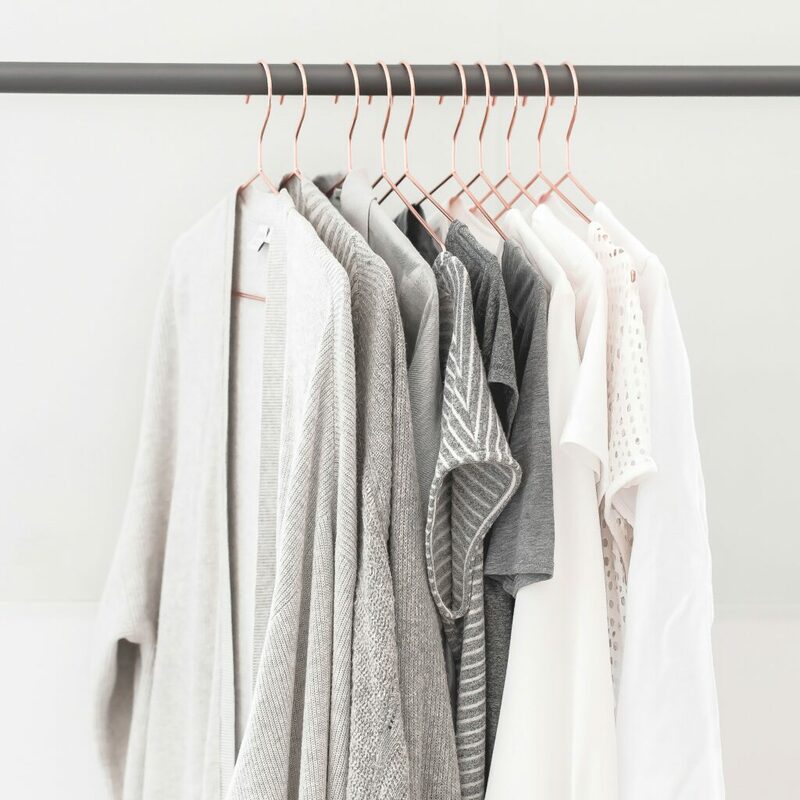 So decide how you are going to conquer decluttering your clothes. With every step of this process, know that there are people out there who could happily use your clothing. 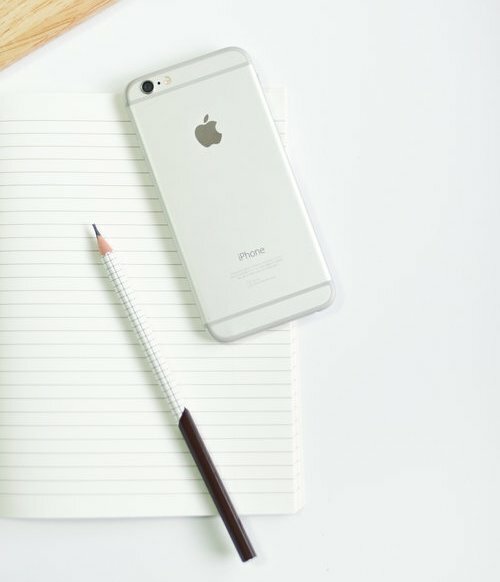 Whether you donate your clothes or try to sell them (here’s the best places to sell clothes online, although I personally avoid ThredUp because of getting so little money back – here’s my ThredUp review and hundreds of other stories from other consignment sellers) or online garage sales for extra money, you will be making a difference in someone else’s life by letting go of the clothing you no longer wear. Decluttering dresser drawers is the same as decluttering closets. Pay special attention to your underwear drawer, which tends to be where we store all kinds of little things, even stuff that isn’t clothing. 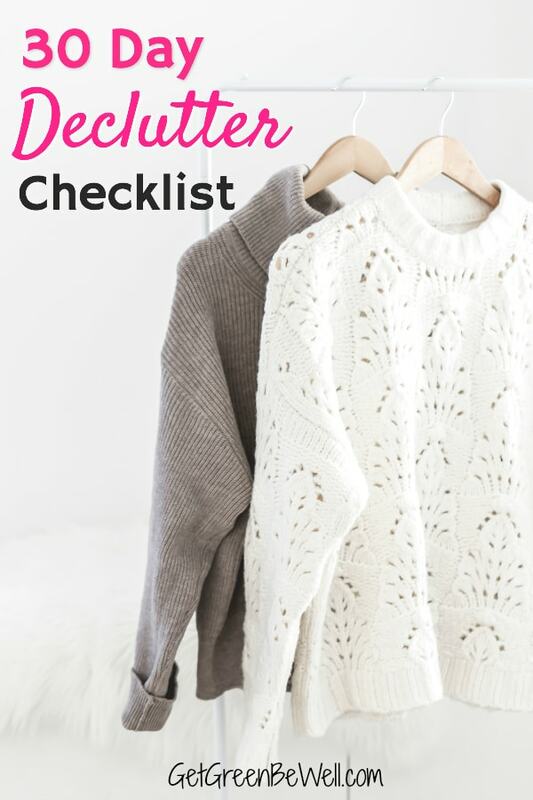 Maybe you have a closet for winter wear or jackets. Or a crafting closet. Whatever closets you haven’t already tackled so far, today is the day to do it. My nightstand is a collection of reading material, contact solutions, sleep balm, pens, journals, and devotionals. If you’re like me, you probably don’t realize everything that you have stacked up in furniture beside your head. Get rid of what you don’t need or doesn’t make you happy. You don’t want negative stimuli before trying to sleep at night. The catch-all place of a home can accumulate a lot of stuff. 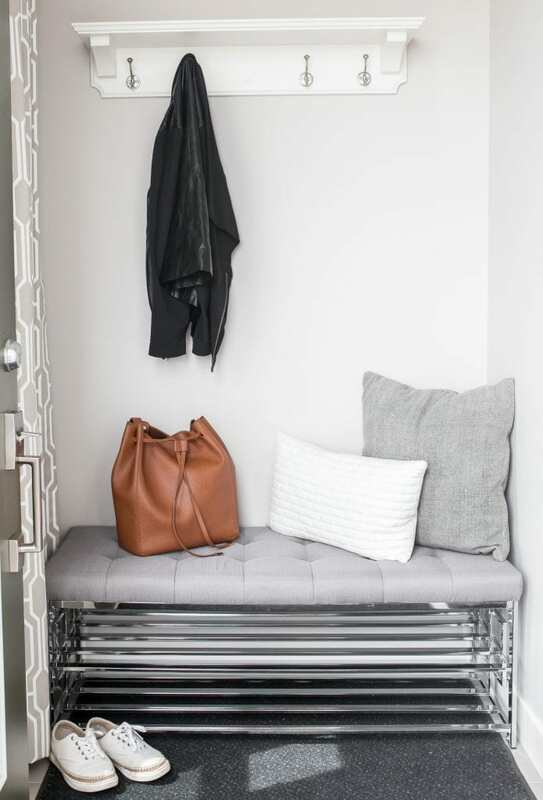 Declutter it to be a safe entrance without lots of stuff on the floor which can be a tripping hazard. Keep what you use. Consider whether you really need to keep something if you haven’t used it in the past year. Maybe you’ve got a craft room. Or a storage shed. A She Shed. Or a storage unit. Whatever extra place you have at home (or elsewhere) that you store STUFF, declutter it today!